University of Westminster Press, 9781911534488, 316pp. 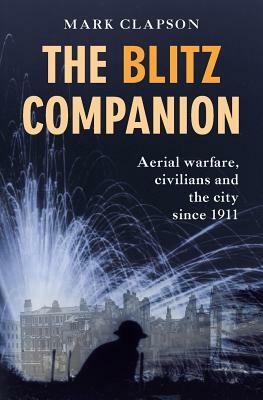 The Blitz Companion offers a unique overview of a century of aerial warfare, its impact on cities and the people who lived in them. It tells the story of aerial warfare from the earliest bombing raids and in World War 1 through to the London Blitz and Allied bombings of Europe and Japan. These are compared with more recent American air campaigns over Cambodia and Vietnam in the 1960s and 1970s, the NATO bombings during the Balkan Wars of the 1990s and subsequent bombings in the aftermath of 9/11. Beginning with the premonitions and predictions of air warfare and its terrible consequences, the book focuses on air raids precautions, evacuation and preparations for total war, and resilience, both of citizens and of cities. The legacies of air raids, from reconstruction to commemoration, are also discussed. While a key theme of the book is the futility of many air campaigns, care is taken to situate them in their historical context. The Blitz Companion also includes a guide to documentary and visual resources for students and general readers.